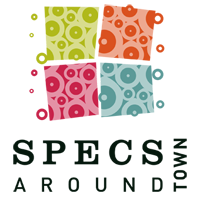 Our mission at Specs Around Town is to give you high quality eyewear and personal service that accommodates your busy lifestyle. 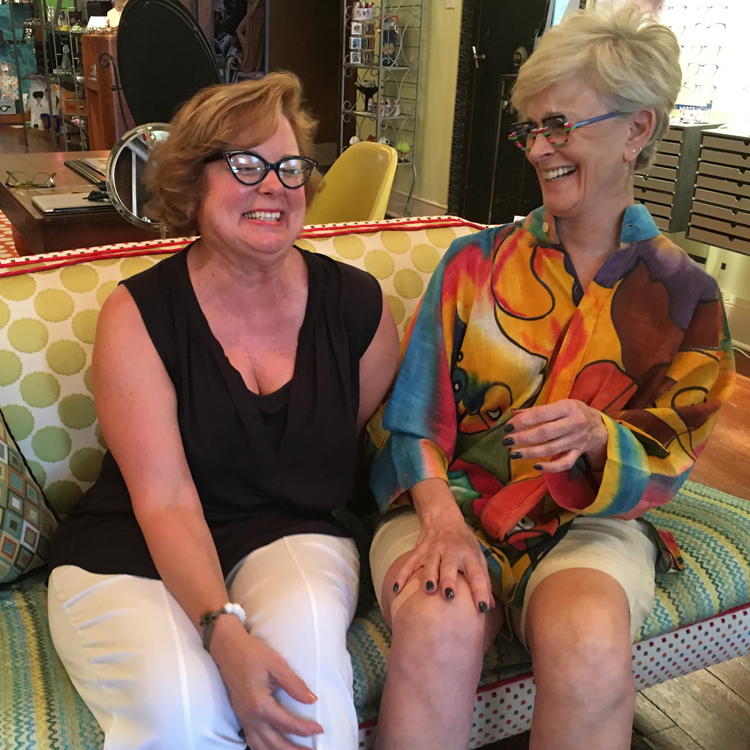 Our niche is an inventory of cutting edge eyewear styles, the latest in optical technology, one-on-one attention and always exceeding our customers' expectations! 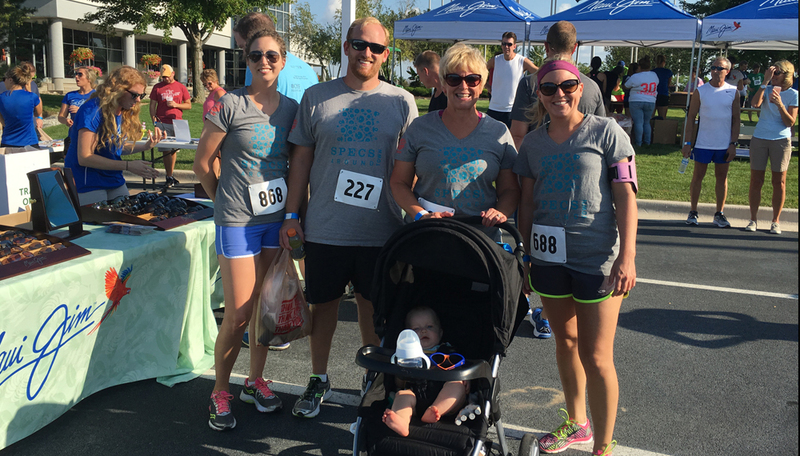 Beginning in 1998 Specs Around Town brought optical services and eyewear to clients at their home, workplace or wherever a client requested. Julie's bright blue Volkswagen beetle sporting her BUGEYZ4 license plate quickly became a distinct and conspicuous part of the Bloomington-Normal landscape. 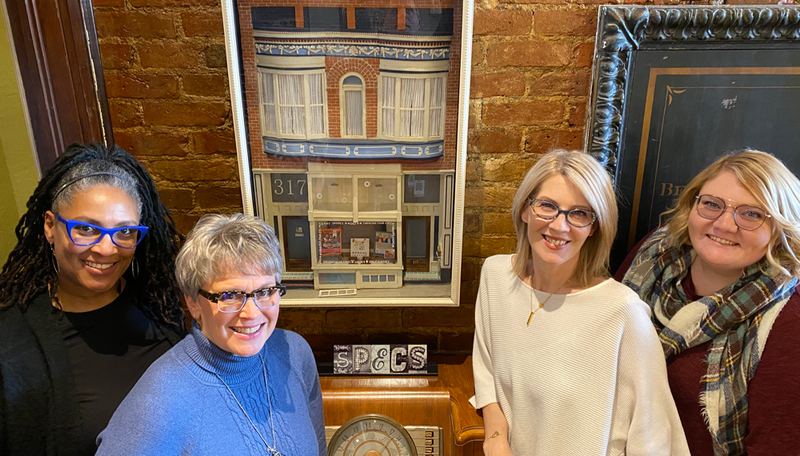 In the fall of 2001 Specs Around Town Optical Boutique opened its doors at 317 N. Center in Downtown Bloomington. 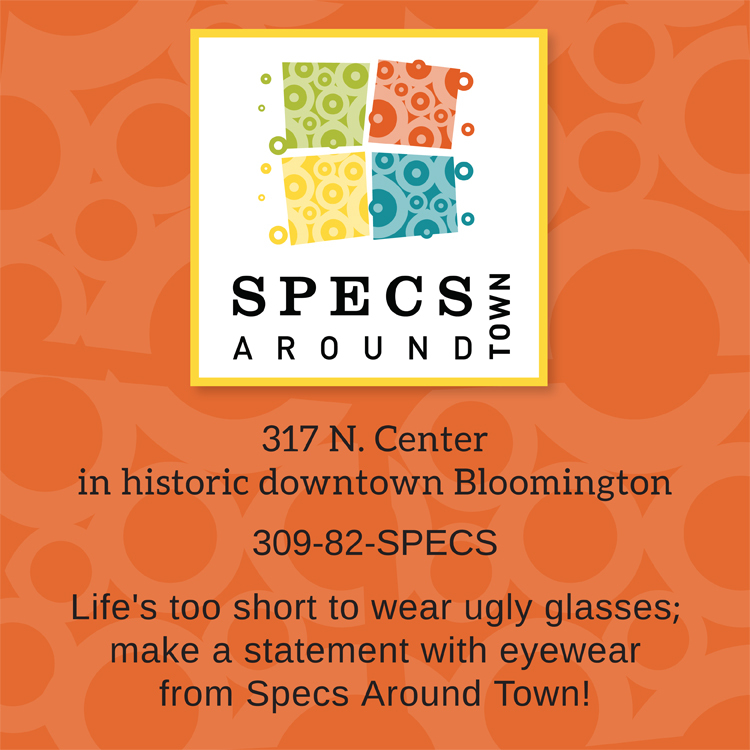 Specs Around Town features over 50 eyewear collections many exclusive and not found anywhere else in central Illinois. Our customers come from Peoria, Springfield, and Champaign IL as well as out of state and around the world - simply because the selection is unique. Specs also features jewelry, watches and accessories. 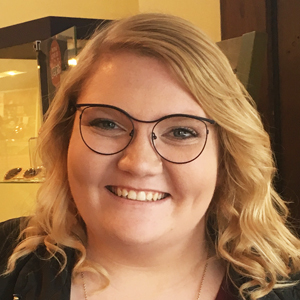 Our friendly team of optical wizards (opticians) help clients select the lenses and frames best suited for their prescriptions and personal style. Our wizards have over 90 combined years of experience. 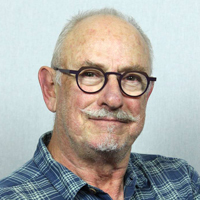 Specs fills all eyeglass prescriptions and also do frame adjustments and repairs. 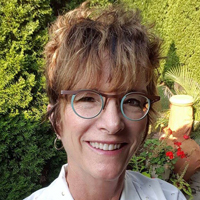 As head Optical Wizard, Julie brings a special kind of care, passion and style in helping clients. She loves hearing all compliments that clients receive from friends, family, co-workers and complete strangers! An optical wizard since August 2005, Emily has come to realize her life would be boring without working at Specs. 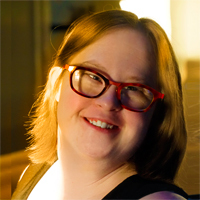 She loves all her fellow optical wizards and really enjoys working with the clients of Specs. When not working you’ll find emily enjoying her family, sons Owen and Carson and her 2 dogs. Since 2015 Saleema enjoys her daily drive from Champaign to work at Specs. 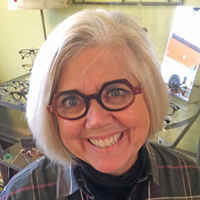 She agrees Specs offers eyewear and customer service like no one else does in Central Illinois. “In my 20 years of experience, even remembering my time in the U.S. Army, I know I’m blessed to be part of the fabulous team at Specs”. 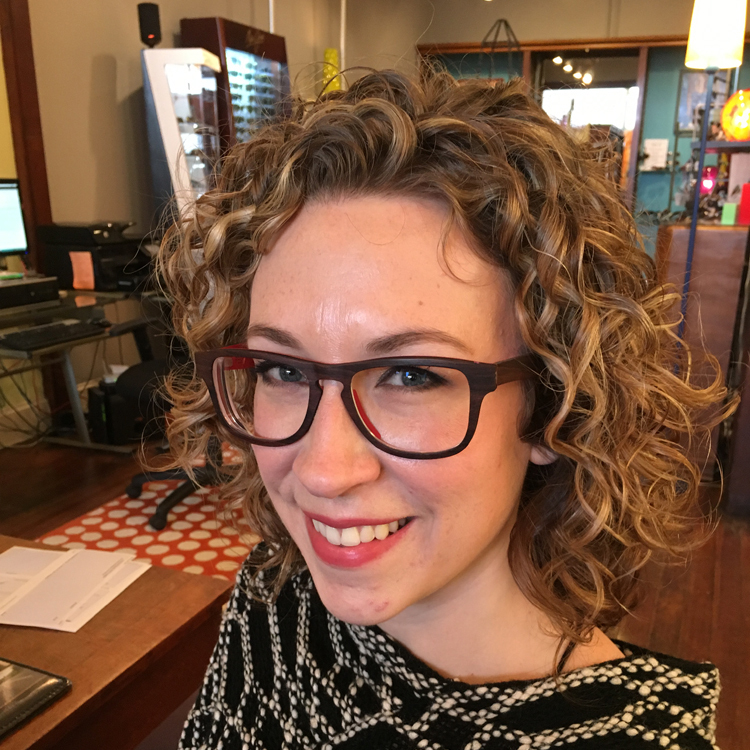 An optical wizard with a passion for unique style, Stephanie is an artist with an eye for detail and a passion for all things ocular. She loves helping clients leave with the perfect fit! Jesse is our newest optical wizard. 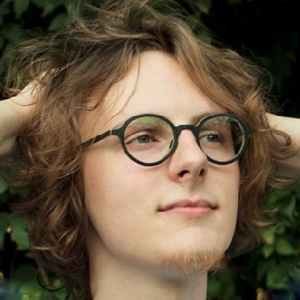 Fresh out of high school and into college, Jesse has found a new passion for Specs & everything optical. He's excited to join the team and ready to learn! Kelli is so excited to be a part of the Specs team. She loves learning about the optical world from her new coworkers. 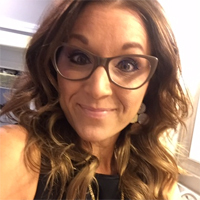 Kelli is a full-time teacher who has a passion for working with children. She enjoys meeting clients at Specs. His first days at Specs were the same as Emily’s. Big hiring month! 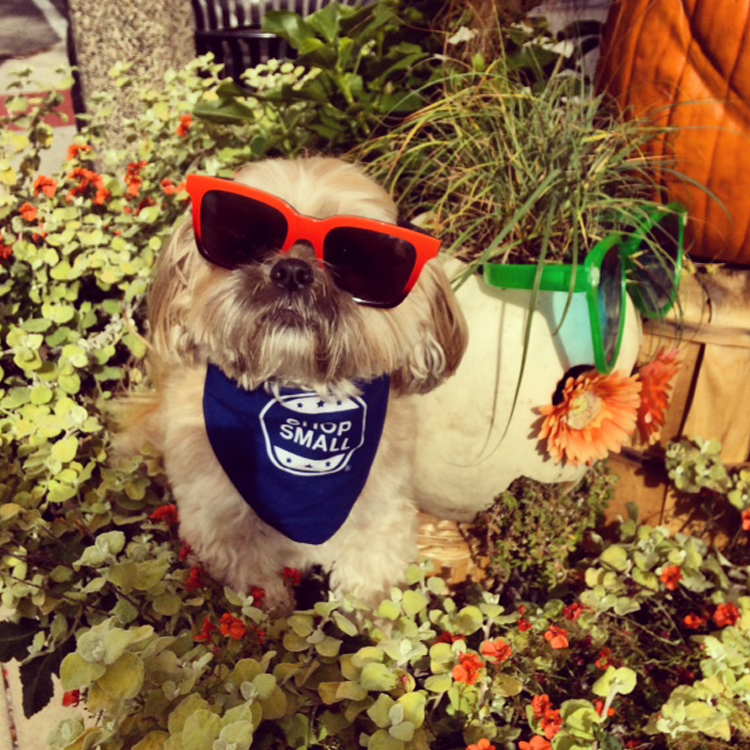 Our 4 legged Shih Tzu supervisor attracted lots of visitors weekly especially on Farmers' Market Saturdays. 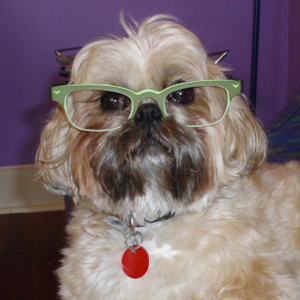 He was the perfect shop dog that never chewed up one frame in Specs. 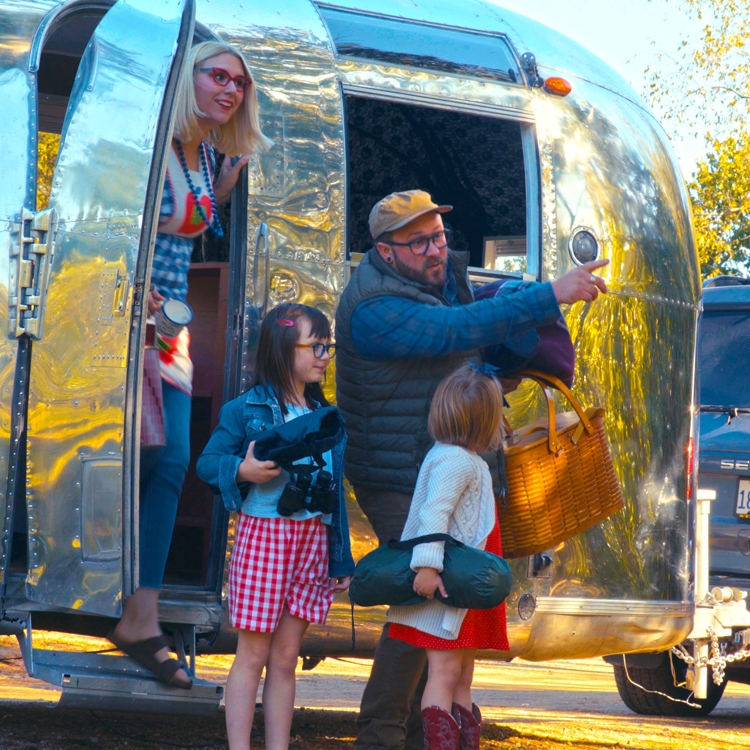 Eleanor & Jonah and their children Iris and Hazel embark on their annual ocular adventure (what most of us call a vacation) - from Eye-daho to Oh-EYE-O - no matter where their travels take them, they always return to Specs Around Town. The Andy Wolf brand is aimed at those who treat their glasses as precious accessories. Made of acetate, combining retro inspiration with high-quality handcraftsmanship; they are so comfortable you'll forget you're wearing them. Available in both sun and ophthalmic. This collection can be dramatic or dramatically simple. Anne et Valentin uses a variety of materials - pure titanium, acetate, stainless steel - that are selected to suit each frame's unique style - each piece blending seamlessly to enhance your face. Available in both sun and ophthalmic. Dedicated to pure luxury, Barton Perreira’s approach to fashion redefines style and elegance. Their high-style glasses and sunglasses are beloved by the fashion elite. The designs draw from a range of influences—from Art Deco jewelry to mid-century furniture. Available in both sun and ophthalmic. 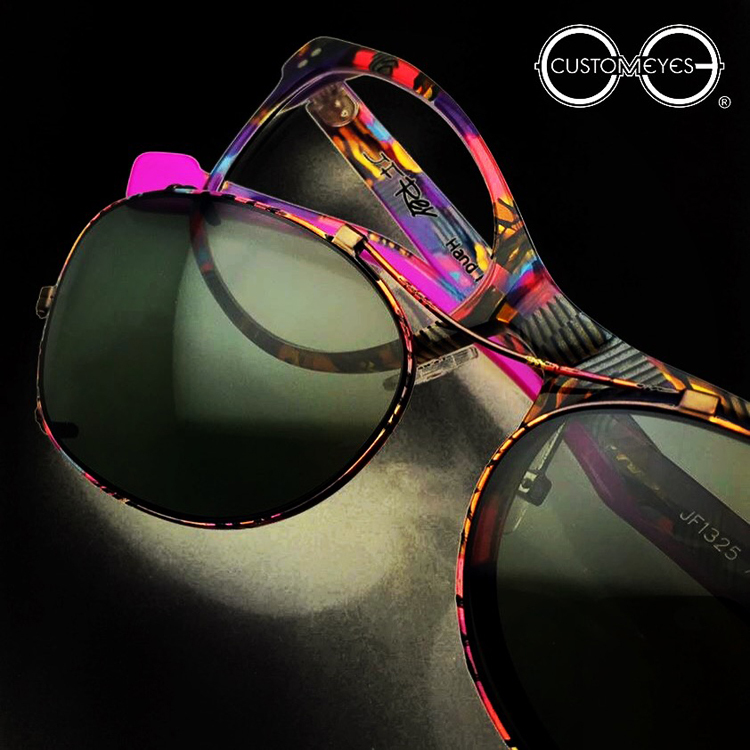 It is the originality and vivid eccentricity that is the hallmark of Boz Eyewear. Their designs include delicate laser-cut patterns and brilliant colors, some adorned with sparkling Swarovski details. 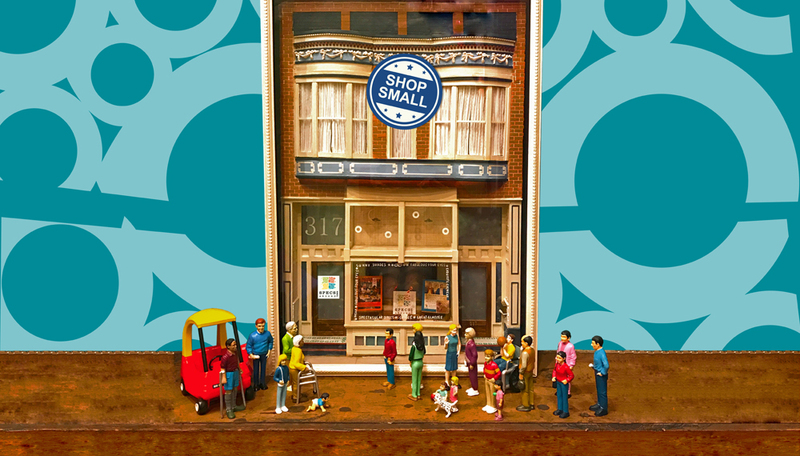 Boz attracts individuals with discerning and fashion forward tastes. Caroline Abram eyewear is a beautifully feminine collection from Paris. Sixties and vintage South Beach inspired, the focus is on cat-eyes, colors and extreme femininity. There is an Eyebobs style for every personality from dignified classics to big, bold and bright. 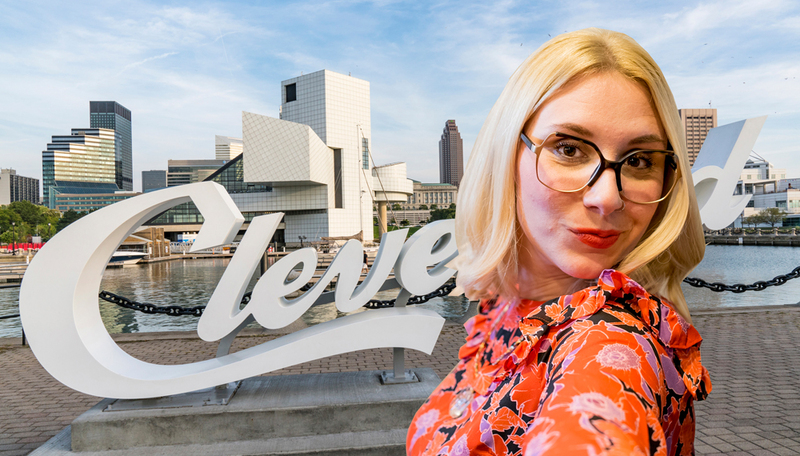 The line includes reading glasses and sun readers for those who expect cutting edge style and quality with an irreverent and slightly jaded attitude. 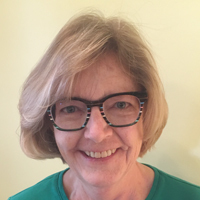 eyeOs premium readers are just too cool for Granny and too good to call readers! The collection features fun and vibrant colors in retro designs that reflect the present and feature edgy, timeless touches that will continue to rock in the future. Swiss made 2.5 Eyephorics combine ultra-light weight, style, and comfort with a funky look unique to this rimless experience. Available in 20-odd colors, they can be made from a selection of lens shapes. The options are endless with up to 5 different colors on one frame. FEB31st is confirmation of contemporary vision that focuses on the uniqueness of each individual. Made from high quality wood that comes in a variety of eye popping colors. Beautifully styled and lightweight, the thoughtfully designed 13 layers of wood can be as original and unique as their owner. Available in both sun and ophthalmic. Bedazzle your wardrobe with Francis Klein frames! We love the retro, large and beautiful upswept styles. Available in a wide-range of custom colors that are hand-embellished with Swarovski crystals, colored etchings and silk inlays. These frames are loved by anyone who wants sparkle! 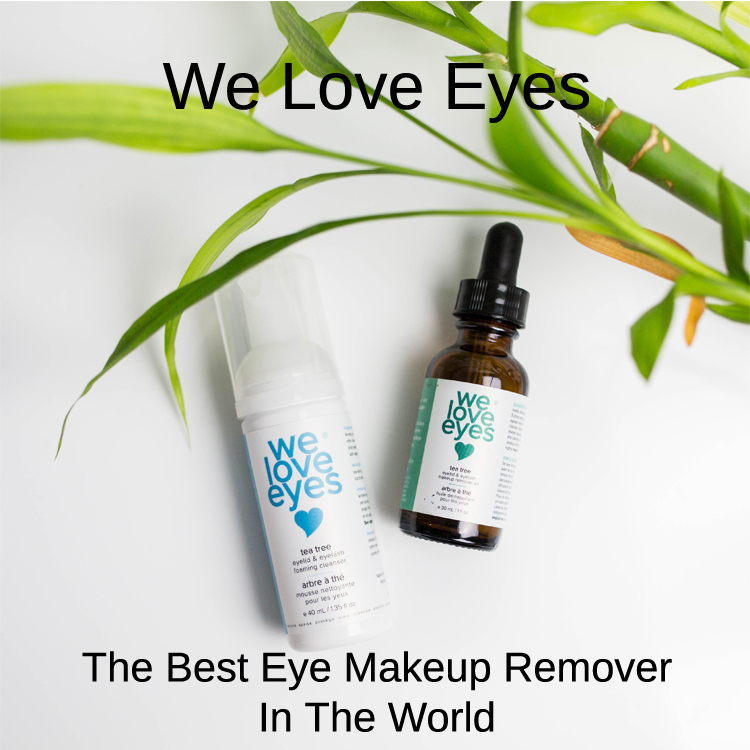 Available in both sun and ophthalmic. The Götti collection is designed according to the motto - the beauty of simplicity. 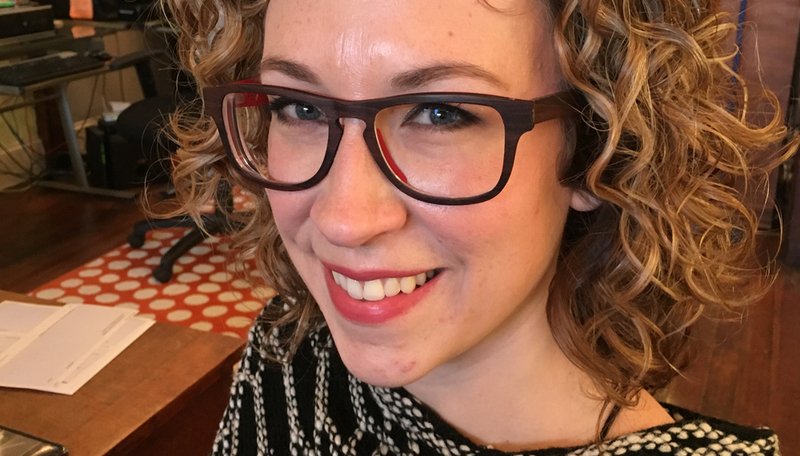 Whether you are interested in their lightweight titanium frames or thick and classic acetate frames, Götti eyeglasses are innovative yet refreshingly simple with clean lines and retro forms. Above all they just feel great. Available in both sun and ophthalmic. French designer J.F. 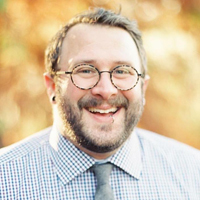 Rey specializes in classically styled frames that come in a wide variety of funky colors and patterns. Environmental elements are a source of their inspiration. Styles also include an avant-garde petite line of extremely colorful designs for adults with smaller faces. Flexible frames and strong lenses are important for active children. All Julbo’s glasses are fun, colorful, reversible, with wrap-around styling. They provided 100% protection against UVA, UVB and UVC rays. Julbo sunnies are a great way to protect infants and toddlers eyes from damaging UV. Never too young to start! 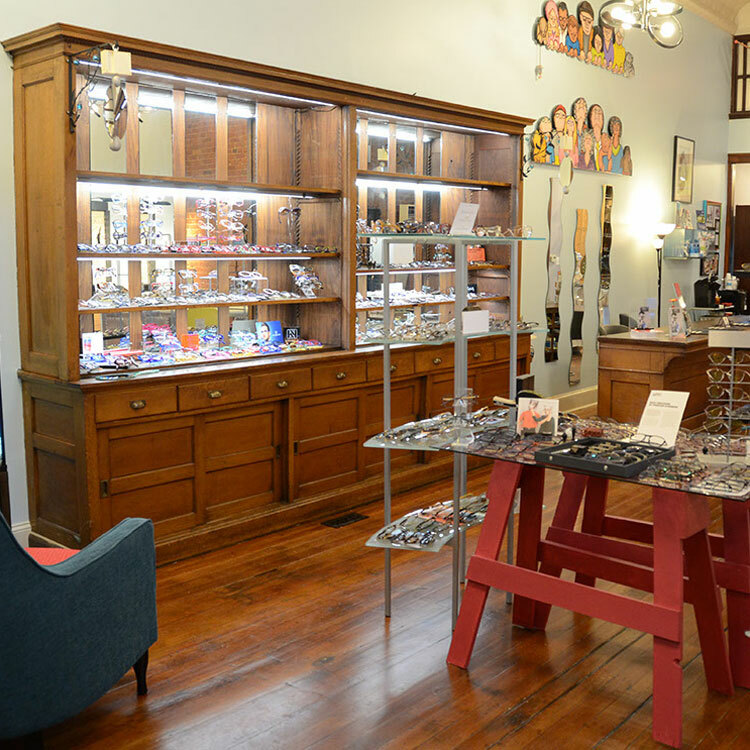 Eyewear designers Jason and Karen Kirk create frames for people who LOVE eyewear. Unique, innovative and daring, this funky eyewear that blurs the boundary between optics and fashion. Available in both sun and ophthalmic. 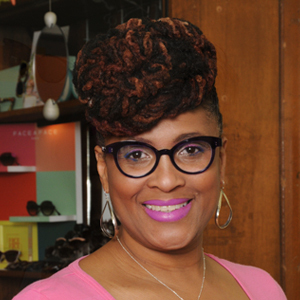 Krewe is a New Orleans-based, culturally inspired independent eyewear company that celebrates individual style with modern, iconic frames. The handcrafted sunglasses draw inspiration from midcentury style expressed through color, pattern, curve and line. 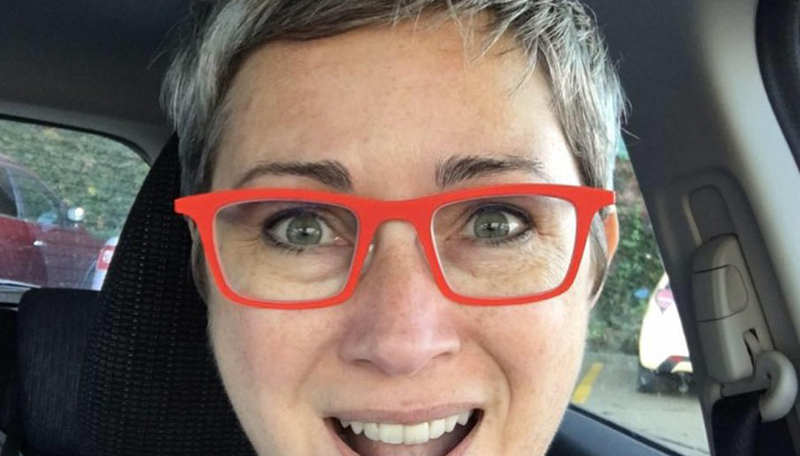 l.a.Eyeworks imaginative frames are immediately recognizable for their modern strokes and expressive use of color, infiltrating the popular culture landscape. Celebrating the diversity of faces and uniqueness of individuals, their motto is “A face is like a work of art. It deserves a great frame". Protective sports eyewear, sunglasses, and kids’ glasses/goggles specifically designed to be impact resistant. Available with prescription and built to perform without sacrificing style. Many different frames and colors from which to choose - just pick your sport! 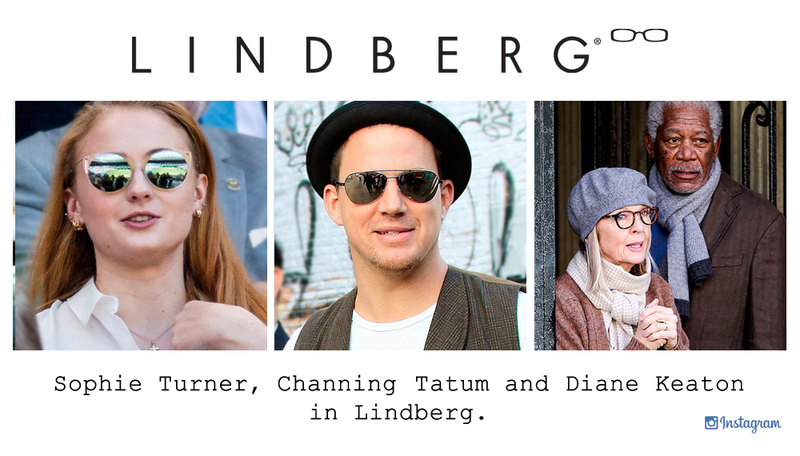 Lindberg glasses are known around the world for their minimalist design. This Danish eyewear is the world’s lightest titanium frame - with a frame weight of less than 3 grams. They are free of screws, rivets and solderings. 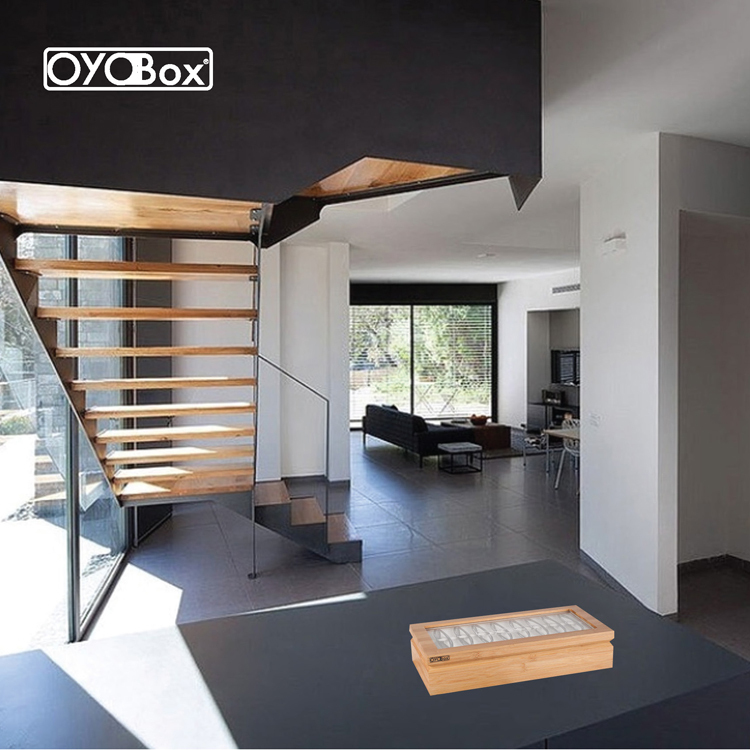 A simple, unobtrusive construction that never distracts attention from the face. Available in both sun and ophthalmic. 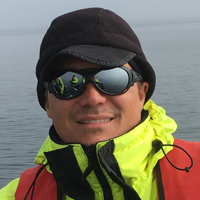 Maui Jim sunglasses feature light weight frame materials blended with patented Polarized Plus lenses that eliminate all types of glare for unmatched visual acuity, comfort, protection, and contrast. 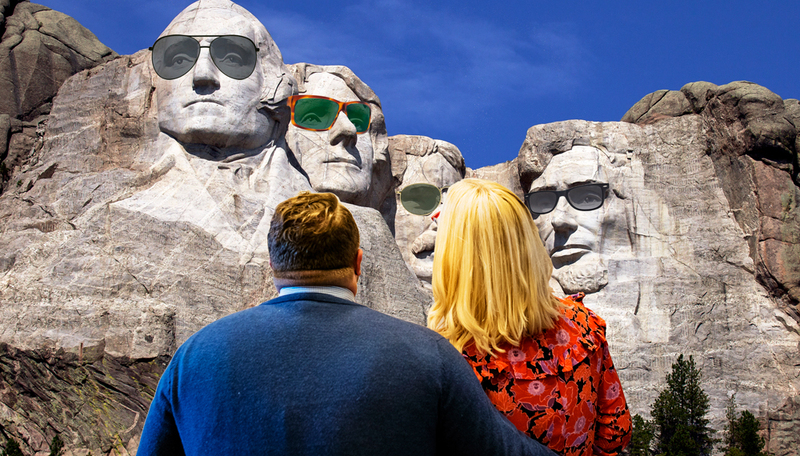 A durable sun glasses line cool enough for daily wear. Do you want to be different? Paper & Paper Eyewear - unique and unrepeatable recycled paper frames are for you. Available in both sun and ophthalmic. 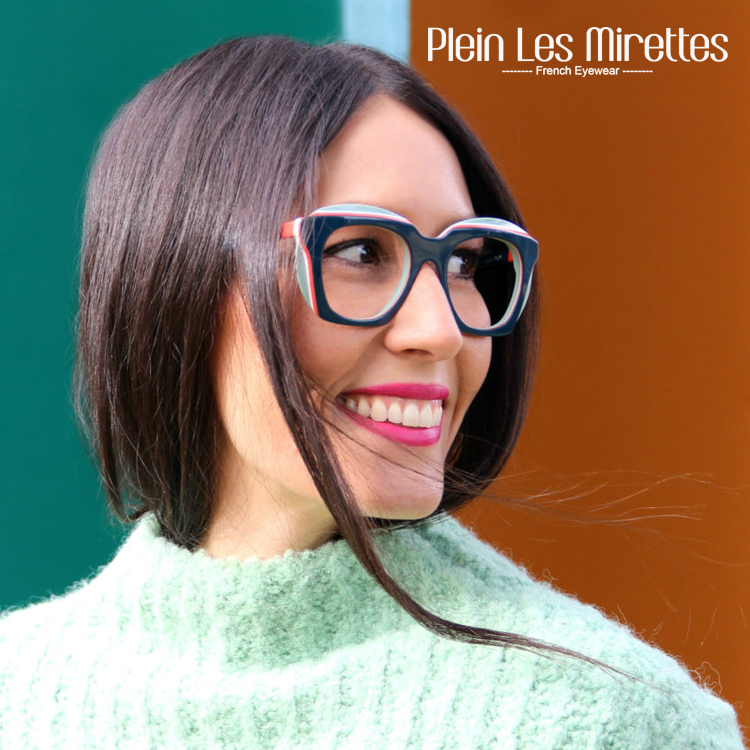 Plein Les Mirettes feature bright colours, a variety of flattering frame shapes and a focus on quality. Available in ophthalmic. Hand made vintage inspired eyewear made in Canada. Simple. Beautiful. Edgy. Available in ophthalmic. Theo eyewear, made in Belgium, pushes the envelope of eyeglass design to the funky edge - and just over. These titanium and acetate frames swim in a rainbow sea of yummy colors such as blues, green and hot red. Theo frames are evidence the Belgians don't just make good waffles. Available in both sun and ophthalmic. 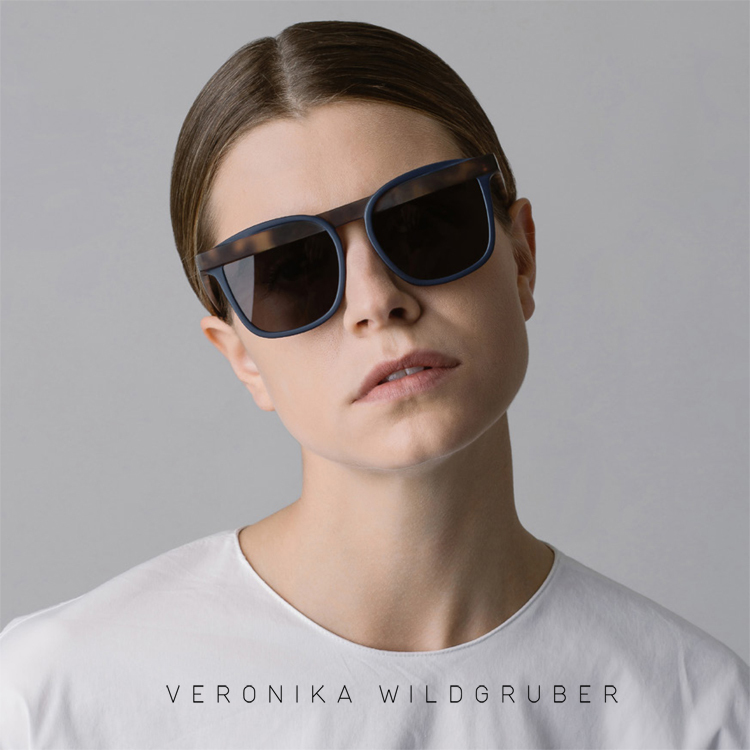 Every Veronika Wildgruber frame shape seems to derive from a peculiar history. Daring material combinations alongside delicate colour tint transitions - this collection is like a piece of mini sculpture. Volte-face (vôlt-fäs') or about-face is completely handcrafted in France as if it were jewelry. 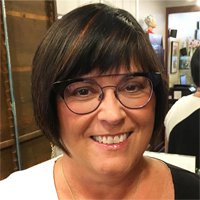 The colorful acetate, titanium and composite stylings and delicate detailed, fluid lines are embraced by people who have a true sense of themselves. 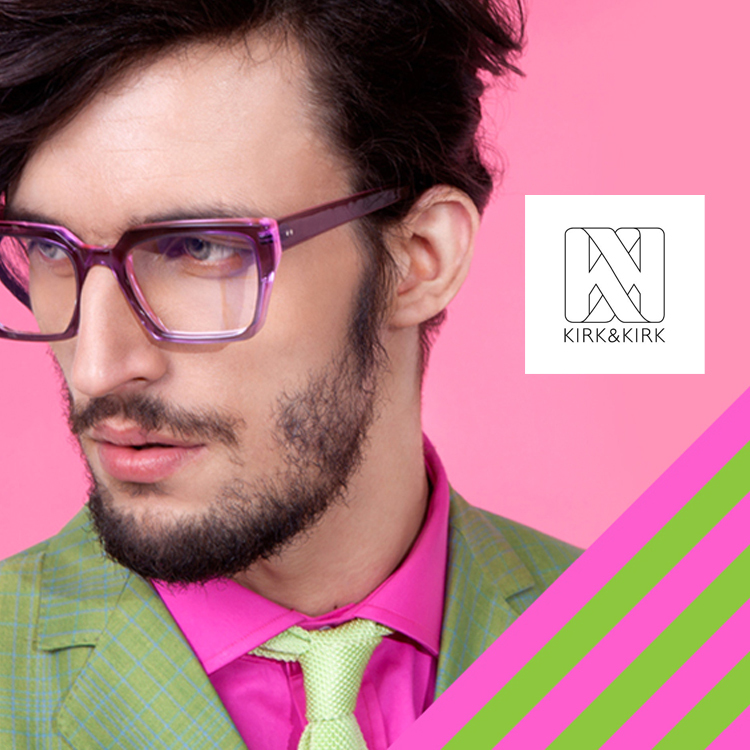 Wissing eyewear will bring out your most colorful side with its chromatic collection of bold eyewear! The German made Wissing trademark is the variety of colors and forms the multilayering of materials gives in the unlimited possibilities of frame design. If you're creative this collection should belong to you. 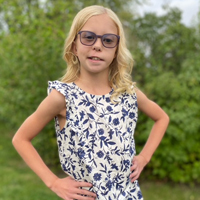 An award-winning kids glasses and sunglasses collection from London, Zoobug was developed by eye surgeon Dr. Julie Diem Le to help children see well and look great! 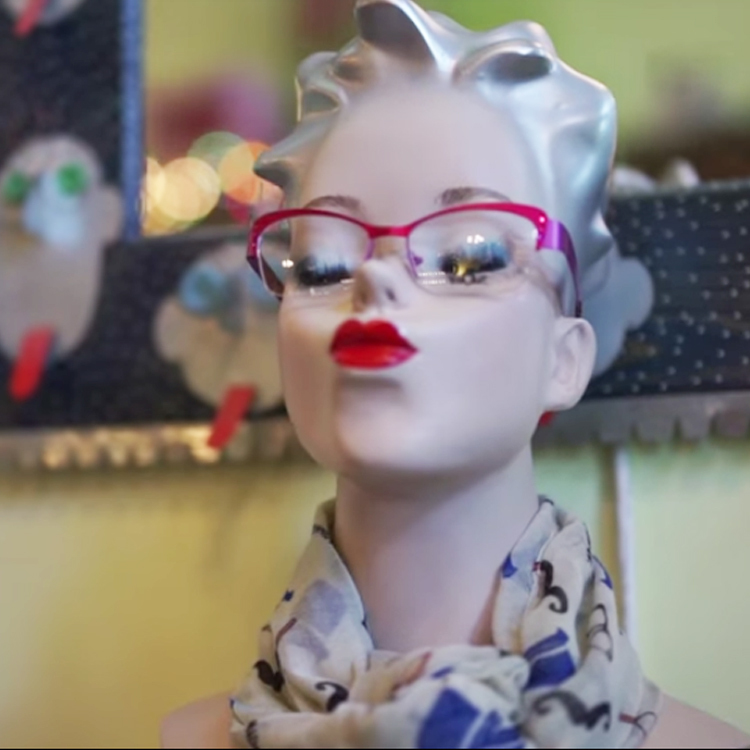 Zoobug’s eyewear is high quality, handmade, and most importantly, affordable! Available in both sun and ophthalmic. 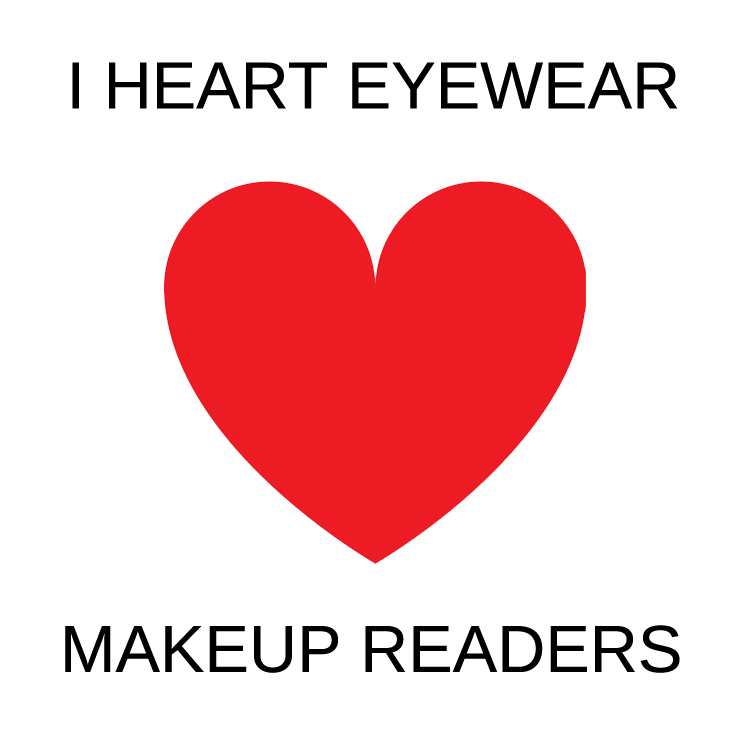 Enhance Your image with make-up tips for specwearers, choosing the right frame shape and more! 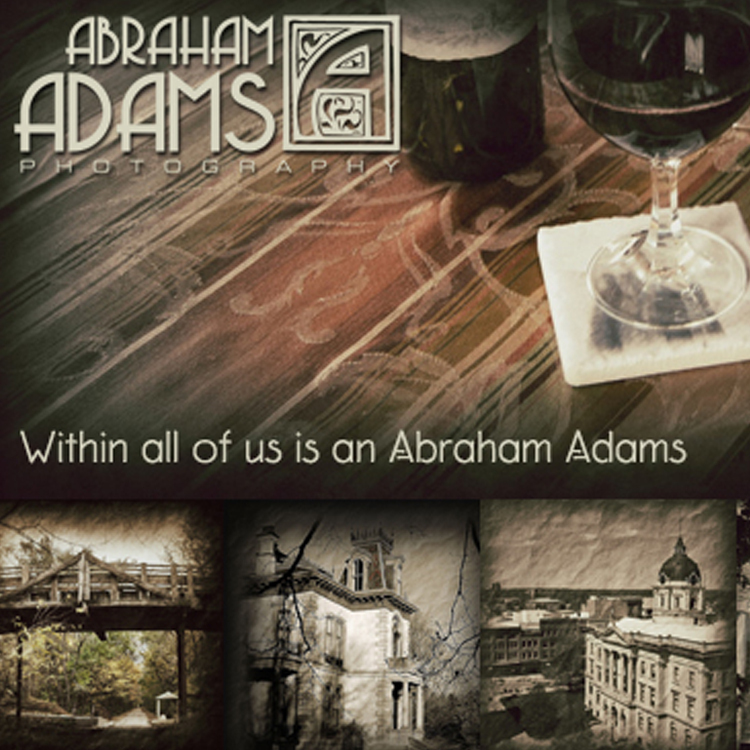 SIGN UP FOR OUR NEWSLETTER AND BE THE FIRST TO FIND OUT ABOUT OUR SALES AND PROMOTIONS! what are today’s new, hot eye-healthy eats? Specs is one of my favorite places to shop! 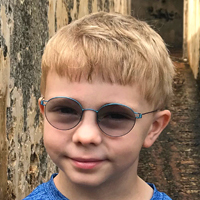 Connor's Grandma shared pictures of their family trip to Puerto Rico and told us how much he enjoyed his new Transition lenses saying, "You guys are awesome and I can see why your business came highly recommended. Now you can be called 'Specs Around the World"! I was complaining to a friend that the same glasses are everywhere. They all look the same and they are boring. 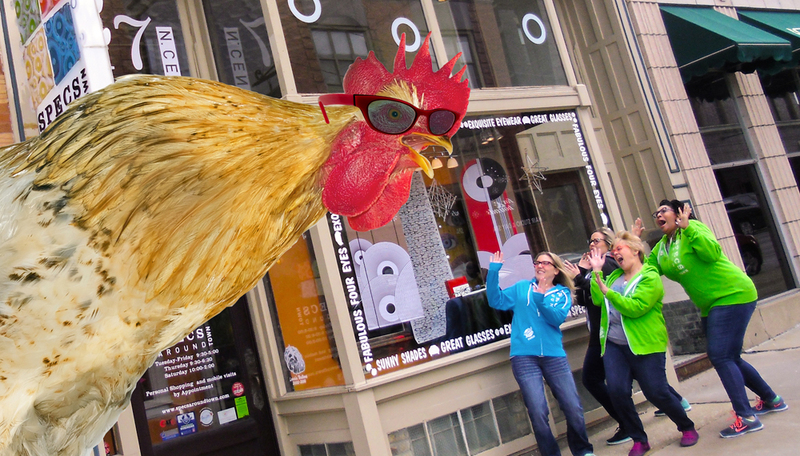 A friend then recommended Specs Around Town and I checked out their website. Once I saw all the great choices I knew this is where I needed to come for great glasses! you may recognize Nathan from our fabulous story of Eleanor and Jonah commercial. In real life Nathan is a pastor in St. Louis and married to "Eleanor"! Six year old Shelby just got her second pair of glasses from Specs. Lucky girl!! Her mom "loves that we take time to help find the perfect fit and look for Shelby. It's worth the drive from Dwight." All my glasses from Specs Around Town are always conversation starters! Emily loves the wide selection of colors that allow her to match her moods and her nail polish! As her parents, we love the attention the Specs crew pays to getting the fit on her delicate features exactly right. 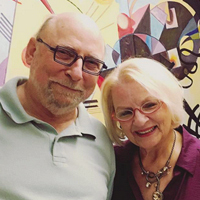 Jack and Linda love color, art and unique things. 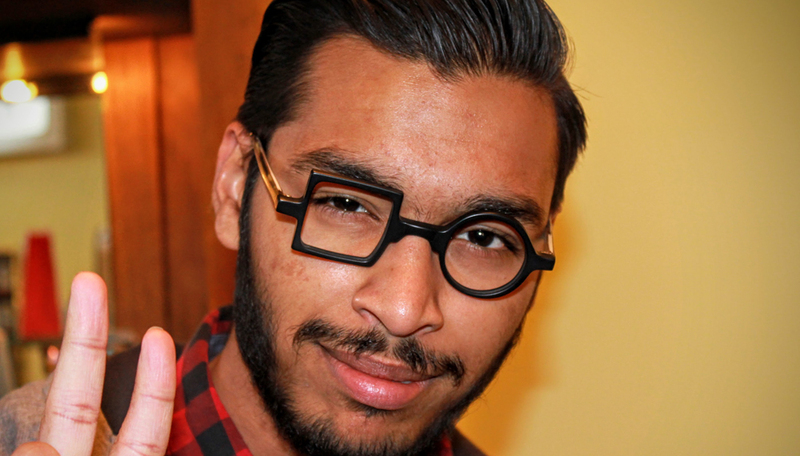 As collectors of all types of art they are so happy to have Theo eyewear now in their collection! 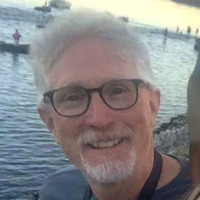 Thank you Julie and Specs around town for the eyewear that I always reach for when I travel to the local farmers market or around the world. Keep providing the best eyewear available. 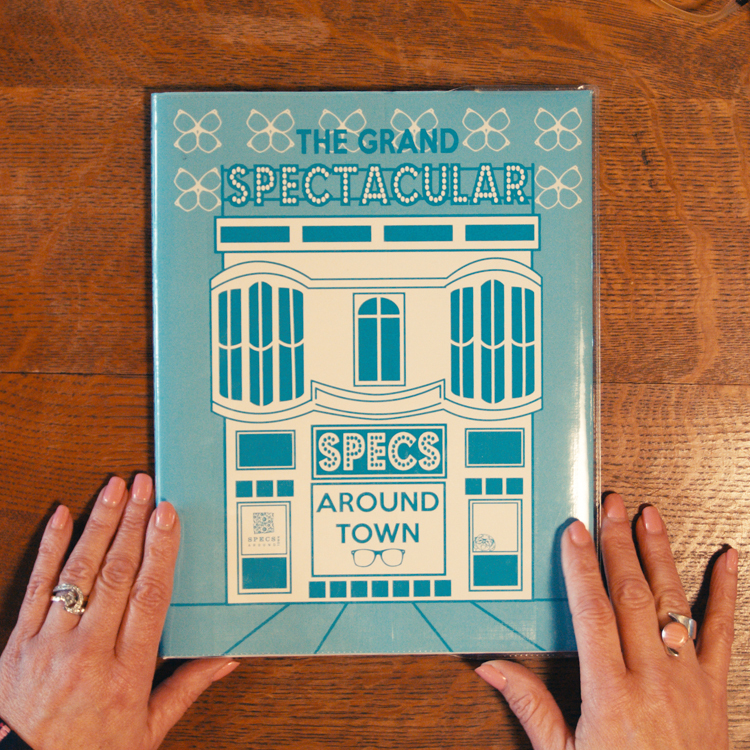 When you walk into Specs, you can tell they KNOW eye wear! Katie helped me decide what my style would be. When picking up my glasses Specs molded them to fit and they couldn't be more perfect! I get compliments at least once a day and their customer service is top-notch! 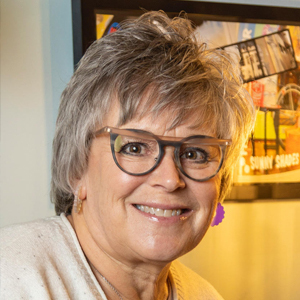 Having just returned from Quebec City, I discovered that local fashionistas in this very European provincial capital of Canada embrace their eyewear from Anne et Valentin, ic! berlin, and Theo. I currently own glasses from all three collections that were purchased from Specs Around Town. I enjoyed showing them off. Having worn glasses since the third grade, I’ve had my share of uninteresting, typical eyewear. That’s what makes a trip to Specs Around Town so delightful. 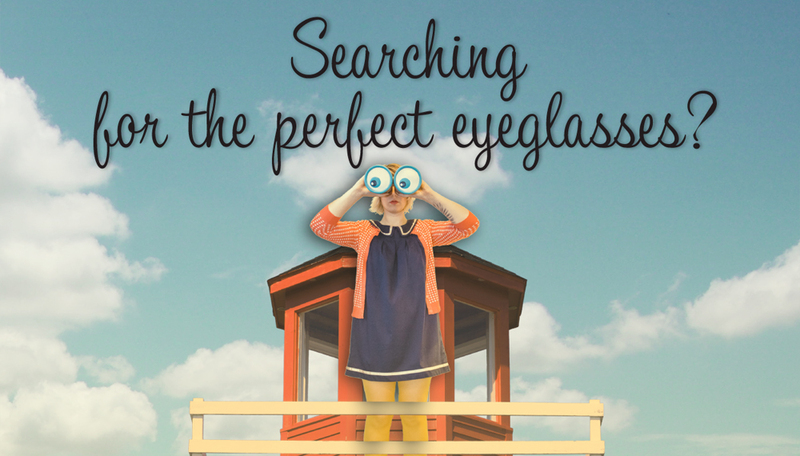 The selection they offer is so varied and unique that the hardest part in looking for new glasses is narrowing down your choices. I apparently was old and hideous before my new glasses from Specs. Now people tell me how great I look, and I look 20 years younger! Thanks to the staff for guiding me to my new, younger look!